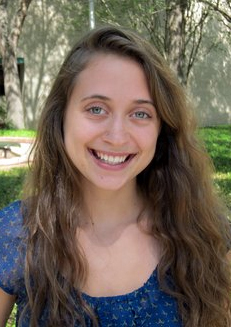 TAMPA, Fla. -- Sarah Seabrook of the University of South Florida has been awarded the National Oceanic and Atmospheric Administration (NOAA) Ernest F. Hollings scholarship. The Hollings Scholarship Program provides undergraduate students with awards that include academic assistance (up to a maximum of $8,000 per year) for full-time study during the 9-month academic year and a 10-week, full-time internship position during the summer at a NOAA facility. Seabrook, a sophomore is double majoring in environmental science and policy, and environmental biology with a 3.7 GPA. She represents the USF College of Arts and Sciences where her achievements inside and outside of the classroom have been noted. She is currently part of a Legislative Internship Program at the Environmental Protection Committee of Hillsborough County, where her projects include wetland restoration, water protection from fertilizer and chemical pollution, enhancing public transportation and bike lanes, balancing environmental protection with inevitable development. Seabrook is cofounder and vice president of the USF chapter of Keep Our Campus Beautiful, the director of politics and activism for the Student Environmental Association and a member of the Biology Club. During summer 2012, she will spend two months in Pulau Hoga, Indonesia as a research assistant for Operation Wallacea at the Hoga Island Marine Research Center, which was created by the University of Essex. She will be diving and researching coral reef health and the impact human activity is having upon them, as well as working on conservation methods in Wakatobi National Park. Originally from Ft. Walton Beach, Fla., Seabrook is planning to pursue a master’s degree in biological oceanography and a doctoral degree in biology. Her research interests focus on coral ecosystems and what remediation techniques can be taken to help save the coral reefs. Her goal is to become a well-rounded scientist and researcher with the ability to communicate the knowledge she develops from her research to governmental agencies and the general public. The Hollings Scholarship Program provides successful undergraduate applicants with awards that include academic assistance for full-time study during the 9-month academic year; a 10-week, full-time internship position during the summer at a NOAA facility; and, if reappointed, academic assistance for full-time study during a second 9-month academic year. The internship between the first and second years of the award provides the Scholars with "hands-on," practical educational training experience in NOAA-related science, research, technology, policy, management, and education activities. Awards also include travel funds to attend a mandatory NOAA Scholarship Program orientation, conferences where students present a paper or poster, and a housing subsidy for scholars who do not reside at home during the summer internship.